The 2016 66th UN DPI/NGO Conference was held focusing on global citizen education and the joint realization of 17 sustainable development objectives. During the conference, FOWPAL also held a World Summit of Love and Peace with theme of, “Education for Global Citizenship Conscience and Culture” in echo of this year’s UN DPI/NGO Conference. Approximately 250 guests from 40 countries attended it. 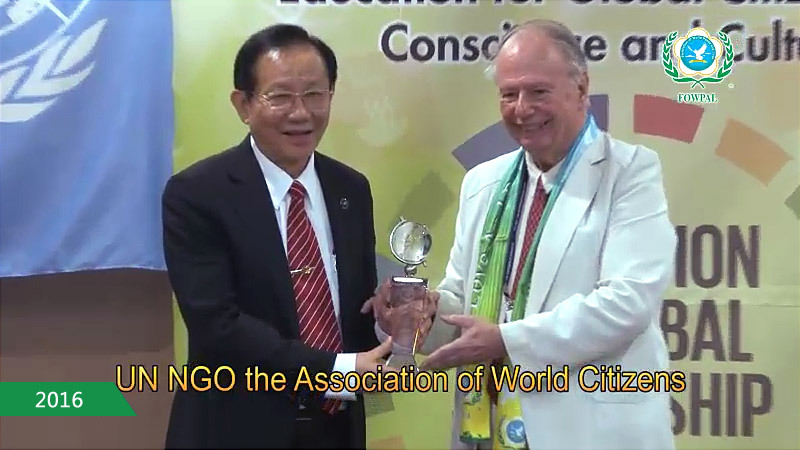 At the summit, Dr. Hong was awarded the World Citizenship Sustainable Development Award in acknowledgement of his commitment to cultural heritage and quality education.